Fairy Garden Fail: Are You Laughing Yet? Bunny ear with a bit of laundry lint for the birds. Some days you get it right and some days things go terribly wrong. Today fell into the latter. My concept for the Easter fairy garden was simple: The merest suggestion of an Easter Bunny watching over the little garden. Perhaps I should have quit with the bunny ears subtly peeking out from the fescue. I completely forgot the cliché ‘quit while you’re ahead’ and kept going. Now its dark and starting to rain so I’ve no time for a do-over. When I downloaded the pictures, they were, well…kinda of creepy. When my son saw the photos and burst out laughing, I knew I was doomed. So…here is what I initially wrote, and the pictures that don’t quite go with it. Tiny eggs appeared in the fairy garden today. I guess the Easter Bunny started his rounds early. I completely understand. I started my own rounds by reaching into the bag of tomorrow’s candy so I could do a little ‘quality control.’ No sense making my kids sick on untested chocolate. The Easter Bunny seems to have grown since we last saw him. Like many of us, he’s suffering from a bit of middle-aged spread. He wears it well though. Perhaps I need to wear more pink…or eat less chocolate. Nah. I’m searching the web now for the latest in pink confections..I mean fashions. This little deer found an egg. I hope you’re laughing, too. This entry was posted in Fairy Garden and tagged bunny ears, Easter, Easter Bunny, easter fairy garden, fairy garden, history, humor, humour. Bookmark the permalink. Bunny is a riot…and who, more than she, should be weighing in on the bunny fiasco? Thanks for the high-5…but clearly love is blind as I hardly deserve it. You have to go with what you’ve got. I should post your cupcake next to my bunny for comparative ‘do-this-not-that’ fun. That cupcake is something else. How terrific to have so many followers. Live and learn, eh? Next year’s bunny will be tiny and adorable…promise. Thank you, Sheila. You made me smile. Thank you for reading and smiling! I’m happy to report that the deer and the frog are still there. Our Easter was low key but nice. How about you? Ours too thanks, we went to my in-laws for a huge lunch and apart from that me and my husband got to hang out together pottering for four days. I wish we could always be on holiday! That sounds lovely. Four days in a row off of work is always a treat. You get things done, but still have time to relax. I dreamt last week that I had a rabbit that big in my yard. I was the size of a fairy. No joke! That’s the stuff nightmares are made of! LOL…although I’m sure it was vivid and scary when you had the dream. I can’t believe you had that dream. Amazing. Now sleep tonight and think of tall, elegant tulips. Oh, here you are, too! So nice to have you visit. So….did you buy some plants? Are they for your fairy garden or for outside…or both? Squeeeeee. 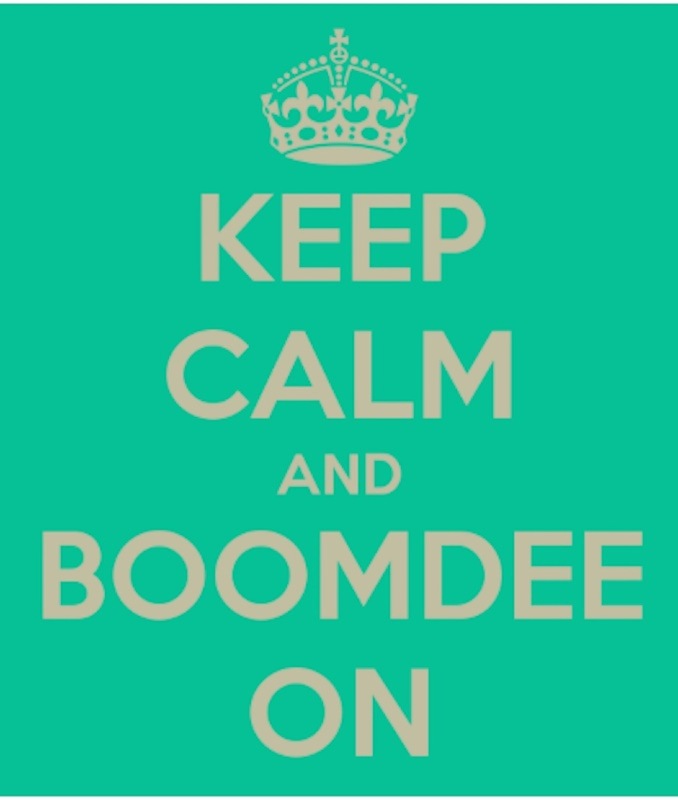 We are a pair, Boomdee. Dwahhhh, youz and me….heehee. HEY?! Let’s pick 6 numbers together and see what happens this Wednesday in our Western Lotto 6-49. I can pick three numbers between 1 and 24. While you pick three numbers between 25 and 49. We’ll put them together: Alla-kazam, zing-zang-ka-bob-dee-boom we’re RICH….easy-breezy-cheesie-Louise-zee !!! Whada’ah say kid? Ooops…I said oops and then you said oops and I’m grinning from ear to ear. LOL, I need to read ahead! you typed ‘oops’ and so did I…..LOL, this is so funny. I’ll get a ticket today ! this is exciting!! Wait a California minute here. Are we typing the same thing before we even read each others messages ABOUT typing the same thing? I’m so mixed up, I just ‘liked’ my own comment. Bahahaha. We’re ridiculously meant to be besties ❤ ❤ ❤ PS. I was at the dentist today, no cavities, yahoo! Weeeeeeeee. This is so much fun. I love it. I love you. And I’m laughing.